You can make your photo book extra personal and unique by placing a meaningful photo on the front and rear cover. You can even get creative by using text, clipart, masks, frames and layouts. And it’s possible to add a title to the spine of your cover! You can find the option to add or remove your photo cover when you click on the ‘options‘ button in our creator tools. 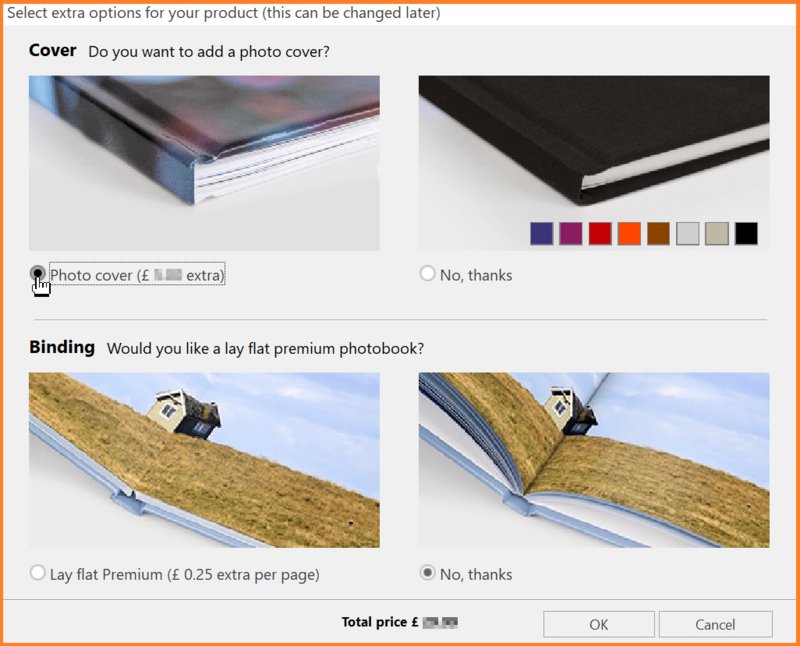 Simply select ‘photo cover‘ and click on ‘OK‘. Please note: soft cover photo books and photo books created in our app automatically have a photo cover.